If you’re a homeowner, your garage is a focal point in your life. You rely on your garage door to work all the time, and when it doesn’t, your life is disrupted. When your garage door goes down for any reason, you need someone who you can trust to get the job done with a quickness! That’s where Local Garage Door Repair Claremont CA comes in. We offer professional, affordable garage door repair and installation services for both residential and commercial locations. No job is too big or too small! Our licensed, bonded and insured technicians at Local Garage Door Repair Claremont CA can handle it all. 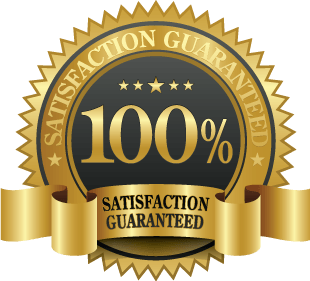 Here at Local Garage Door Repair Claremont CA we work with all of the major garage door companies, as well as the major garage door opener and component manufacturers, and we backup our work with a 100% Money Back Guarantee! We specialize in all types of repairs, from broken springs, off-track garage doors, cable replacements – YOU NAME IT! We take pride in providing our community with the absolute best service any garage door company has to offer. We guarantee it! We’re ready to take your call! Call us today at (909) 212-0325. Besides just garage doors, we also service gates. Both residential and commercial gates are our specialty. Is it a swinging, sliding, or pedestrian gate? Swinging gates are gates that open and close at the center of two separate pieces. When opening, they move outward and away from each other. When closing, they move inward and toward each other. These types of gates are very luxurious looking and add a very nice aesthetic to the front of your home! Sliding gates are similar but a little bit different. They also utilize two pieces but instead of being placed side-by-side, these gates run parallel to each other and slide past each other to open and close. 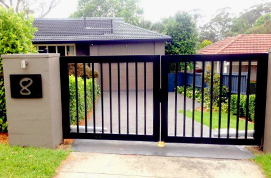 These gates are less expensive than their swinging counterparts, they also take up a lot less space making them ideal for residents with smaller yards. Pedestrian gates are exactly what they sound like – small gates that allow pedestrians to enter and exit the property. Usually they accompany either a sliding or swinging gate, but sometimes they stand on their own. They are usually manually operated, since they are so small. Pedestrian gates are usually unlocked with either a key or a safety latch. The professional technicians of Garage Door Claremont CA can quickly assess any commercial door issue with as little drama or impact to your business operations as possible. Our company is here to help you. We can replace, install, and repair any commercial door issue. We are proud to help fellow business in our community prosper! Call us today for details! Garage Door Repair Claremont CA	Overall rating:	5	out of 5 based on 10	reviews. Garage door springs are the hardest working part of the garage door. They have to support most of the weight of the garage door. When they break, Garage Door Claremont CA can repair or replace the springs. Garage door cables are an important component to your overall garage door system. When garage door cables snap, Garage Door Repair Claremont will be there for you to fix or replace your garage door cables. Garage door openers make life so much easier for us, but when they malfunction, life can get complicated fast. Garage Door Repair Claremont’s well-trained, certified technicians can repair any type of opener issue. The professional technicians of Garage Door Claremont CA can quickly assess any commercial door issue with as little drama or impact to your business operations as possible. Our company is here to help you. Give us a call – (909) 212-0325 !